With its success in e-commerce, this Seattle-based company was eager to expand their business. Madeline Haydon had a lot of demands when it came to coffee creamer. First, it had to be dairy-free, since she’s lactose intolerant. It also had to be rich, creamy, unsweetened, and downright delicious. But finding nothing that met her criteria on the market, she decided to make her own. Read on to find out how nutpods landed their biggest deal to date — 950 Publix stores — after adding their products to RangeMe. That was Madeline Haydon’s thought while dining out one night in Lake Tahoe. She had asked the waitress for something non-dairy and non-soy based to put in her coffee and received a jar of shelf-stable, artificial powdered coffee creamer. Sure, it met her requirements, but it certainly did not meet her expectations. Tinkering with her own coconut almond milk recipe at home, Haydon realized she might have a hit on her hands. In 2013 she launched a Kickstarter campaign to test her theory. 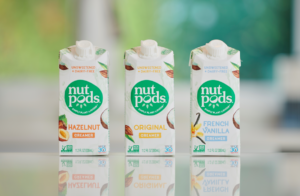 “She wanted to identify if there was actual demand,” says Michele Silbey, senior marketing manager for nutpods. “Was it just her who wanted this type of product or was there market demand?” It turns out there was demand in spades. In less than a month, the campaign had raised its initial funds, and Hayden researched commercializing the recipe she’d concocted at home. launched their shelf-stable dairy-free coffee creamers in two flavors, original and French vanilla, and quickly added a third, hazelnut. The plant-based product was a hit with vegetarians, vegans, and those following the Whole30 diet. But because the products are also unsweetened, they have been a hit with those following a keto lifestyle, or who have diabetes, or who just want to reduce the amount of sugar in their diets. With its success in e-commerce, the Seattle-based company was eager to expand their business. 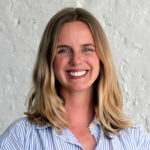 They’d grown their team from five to 20 people and signed up for RangeMe as a way to identify new potential contacts and get in touch with new retailers. What they weren’t expecting was a simple message exchange to land them on the shelves of a major, regional retailer. Once on RangeMe, nutpods received a sample request from a category manager at Publix, says Mark Nunn, vice president of sales for nutpods. After they sent samples out, the category manager referred them to work with their distribution partner. “I worked closely with the distributor’s account manager to secure planograms,” Nunn explains. “We were already set up as a vendor with the distributor, so we just needed to set up new distribution points to work with Publix.” Publix took on three SKUs of the shelf-stable creamers in 950 of its stores, Nunn says. 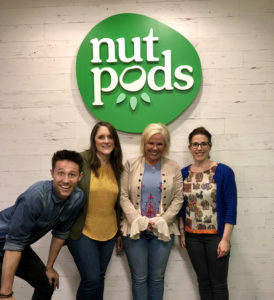 nutpods is eager to capitalize on the growth it has seen thus far, and 2018 is shaping up to help them do just that. The company has launched a line of fresh products and continues to build out its distribution in natural as well as conventional grocery markets, says Nunn. Sound a bit nutty? 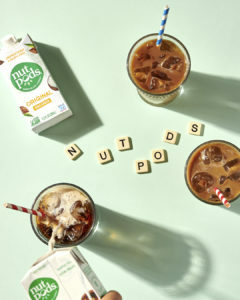 Not at all—with a great product on hand and a deal with a major retailer, nutpods is poised for success.